They are more than half of the population, heirs of an ancient culture, holders of centuries of knowledge and bearers of ancestral traditions and teachings. Nevertheless, being indigenous in Guatemala is equivalent, apart from a few exceptions, to marginalization, poverty and lack of opportunities. The figures speak for themselves: 59% of the population is poor and 79% of the poor are indigenous people that live with about 3.5 euros a day and more than 40% are illiterate, according to the latest official survey of living conditions. 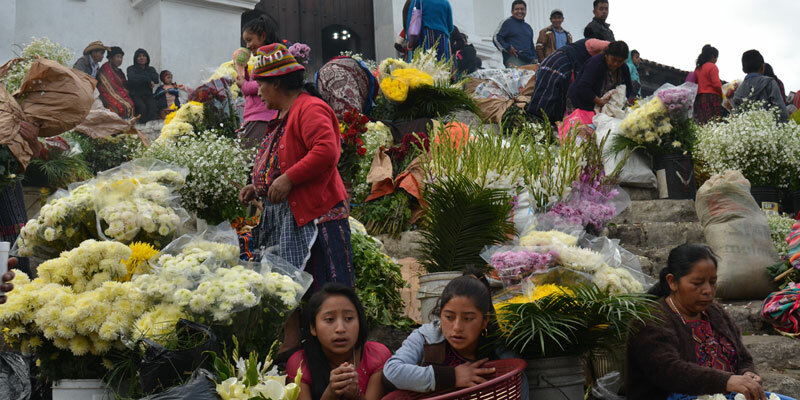 World Health Organization estimates that being an indigenous in Guatemala means having an average life expectancy at birth of 17 years lower than the rest of the country and, for women, a three times more chance of dying. In addition, almost seven out of ten children suffer from malnutrition. Almost half of Guatemala’s men and women are made of corn, as the Mayan tradition evokes. The indigenous population constitutes more than 40% of a total of 16 million inhabitants in an predominantly rural country. Being indigenous and being poor go hand in hand. The children of corn die of hunger. Chronic child malnutrition (prolonged and leading to stunted growth) affects 48% of children under five, by far the highest of all Central American countries. Racism supports the conditions of poverty and vice versa. Men and women taking care of corn, sacred Mayan food, still occupy the margins of society. Over 20 years after the signing of the peace accords in Guatemala, the violence hasn’t stopped, it’s just different. People still don’t have access to basic services, women are victims of violence, children are dying of hunger, people don’t have land, families don’t have employments. The cycle of poverty is endless.